We offer tree planting and tree transplanting services throughout Pinellas County. We can locate, deliver and install trees direct from the nursery, or from your own yard. Proper tree planting starts with a plan. Trees come in all shapes and sizes. Our Arborist can help determine what is the right tree for the right place. 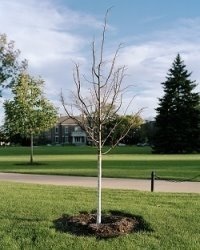 Transplanting a tree is a service we provide because removal isn't always the best option. If a tree can be transplanted, or moved to a different spot, you can trust our Arborist to do it.